We are a MOBILE Locksmith and Safe Company Servicing The Greater Myrtle Beach Area. Our Principal, Tom Beckham was a Previous Bank Vault Technician with both, The Mosler Safe Company, and The American Safe and Lock Co.
We service SAFES, We Move them, Bolt them down, Change the combination, Upgrade the Lock, or Open a Locked Safe. Have one to sell? Call us to help! 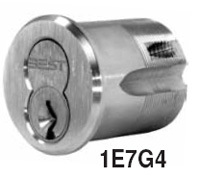 We install locks, replace locks, and also re-key locks. We can Master Key your building. Ask us about upgrading to more secure locks. We can usually provide same day service. We do not open, service, or make keys for motor vehicles. Andrews, Atlantic Beach, Aynor, Briarcliff Acres, Bucksport, Conway, Carolina Forrest, Hemmingway, Gallivants Ferry, Garden City, Georgetown, Green Sea, Johnsonville, Litchfield, Little River, Longs, Loris, Myrtle Beach, Mullins, Murrells Inlet, Nichols, North Myrtle Beach, Pawleys Island, Socastee, Surfside, Georgetown County, Horry County, Williamsburg County.